We all lost an hour of sleep that we will only gain back next October when we "fall back." There are two groups of people who do not cope well with this semi-annual movement of the clocks forward and backwards. The first are babies, and the second are old codgers like me. At the age of 63, I tend to get up with the chickens who, by the way, do not wear wristwatches, although a number of roosters do work part time as alarm clocks. I’ve been grumpy all week, and although this is pretty much par for the course for me, I’ve been even grumpier than usual considering the fact that when I wake up at 5:00 a.m., it’s not 5:00 a.m., but actually 6:00 a.m.
My late grandfather was born and raised on a farm in the booming metropolis of Deanburg, Tennessee. My grandfather only went to school through the fourth grade, but he was a very wise man. “Cow pasture pool” was my grandfather’s description of golf. My grandfather thought golf was a waste of a perfectly good cow pasture. Once again, my grandfather was right. 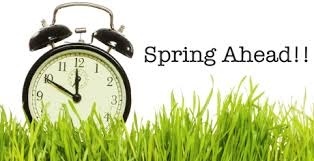 Daylight savings time is the creation of city folks who want to play golf after work on spring and summer nights, which because of daylight savings time, are not nights at all, but rather ridiculously long days. I gave up cow pasture pool a long time ago when I realized that the only way I would ever break 100 would be by taking an unlimited number of mulligans. I now like to run, and I try to do so every morning. But now that daylight savings time has arrived, it is pitch dark when the confused rooster crows and I head out the door for a morning run, which is not a morning run at all, but actually a middle-of-the-night run, even if it is 6:00 a.m.
Well, I’m tired and grumpy, not to be confused with the law firm by the same name. There is only one thing to do. I’m going to take a nap. Wake me up in October. Jason Long: With all due respect, you and the Swami are wrong. As a golfer who would still like to play once in a blue moon, this time of year affords me the only opportunity. Even if you are not a golfer, there is nothing better in the spring or summer than coming home after a long day of legal battles, changing into shorts and a tee shirt and heading out to the back deck to do some serious southern grilling, while the sun is still up and you can enjoy the day. Plus, as you know, being a dedicated daddy yourself, daylight savings time means more time to play outside with the kids after work. That can't be a bad thing. All due respect to you 5 a.m. grumpy codgers, but you get your half of the year, let me have mine. That being said, your article, as always, is entertaining. Charles Swanson: Agreed 100%. The first morning I went to run I forgot and wore all black. Luckily survived that and now have had to go back to wearing a reflective vest. What a pain!